Servicing web development and traditional printing services to South Florida small businesses in Miami Gardens, Hialeah Gardens and Doral to Fort Lauderdale, Miramar, Hallandale, and Pembroke Pines since 2001. Tips to effectively use printed advertisements to increase R.O.I. Today’s new marketer knows how essential the Internet can be as a promotional avenue to raise leads and convert into consumers. They will comment about the needs of Search Engine Optimization and how info spreads via Social Media. In concept, I do concur that Online marketing is very useful, but I strongly believe that some “old school” forms of advertising is still an extremely powerful way to generate new leads. Ad placements with follow-up printed information can create a great a lasting impression you score on a prospect. The effect of printed advertisements all rely on where they are stationed. How you use them will influence the result. A common misconception is that the more people you advertise to the more customers will be converted. Yes and No. You might get more customers, but the percentage would be extremely lower than if you targeted people interested in your product or service. You would waste more time and money to re-print and pass them out. A simple example: You wouldn’t give a flyer advertising denture cleaners to a teenager, right? Even-though you might have a couple exceptions where that teenager might buy the product for their grandparents, the chances are slim and you have wasted material and time. This is why it’s imperative to focus on the prospects who are genuinely interested in your product or service. If you do that, you will see a much great return on investment. The following are some traditional ways of marketing and the ways they should be used to boost leads and maximize conversion rates. Placement of flyers on vehicles gets your name seen, but by who? Like stated above it is best to put yourself in-front of people who are interested in you. First, think of whom would be interested in your product or service, think where you would find these people, and then promote. – You own a vitamin shop. Your sales reports show that the elderly and fitness buffs form the majority of your clientele. You search and find out that those fitness-buffs could be found at a gym and the elderly may be found at bingo parlors. Armed with that knowledge you can target parking-lots for gyms and bingo venues, placing flyers of your vitamin shop on the cars windshields. If you happen to converse with someone who is interested in your niche you need some type of tangible information on how to contact you. Sure, you can write your name and number on a piece of paper or hand them a flyer, but a business card will show you mean business. A card with your name, title, and contact information garners credibility and confidence in your ability of your field. Unlike the large size of flyers, you can keep a little stack of business cards in your wallet or purse, so you are ready at any occasion. Whether it’s a referrer or networking occurrence, a business card will increase the likely-hood that the prospect will contact you. You have sees them in counters at many stores and at a receptionist’s desk. Unlike flyers and business cards, brochures and pamphlets can contain much more information without looking crammed. With a couple bullet points and pictures this piece of printed material can be a great follow-up tool. You can place information on your product or service, contact information, and anything else you would think is important for your sales pitch. Brochures and pamphlets also work well for meetings from cold calls and networking events. These are just three of the many options there are in printed advertisements. 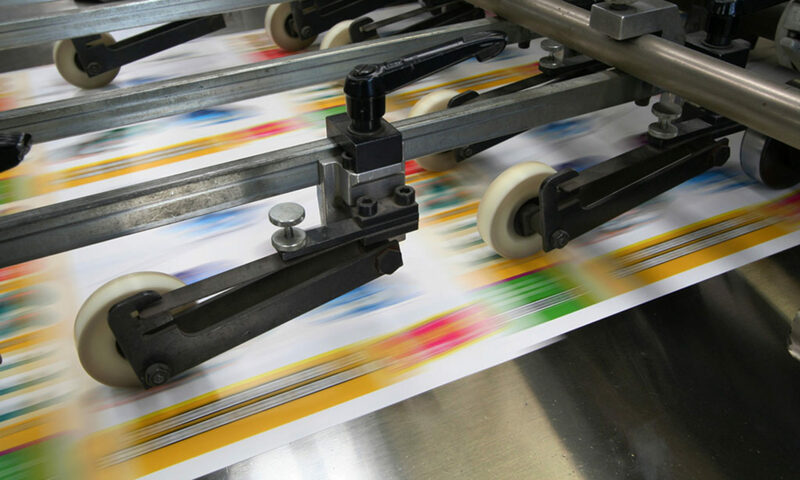 From t-shirts to bumper stickers there will always be a printed material that would work best for any industry when strategically used. In the next installment to this multi-part article I will discuss the uses of Vehicle Wraps, Bumper Stickers, and T-Shirts.